Our goal is to find you a great job teaching abroad – for free. We don’t charge candidates for our services and we don’t try to sell you courses you may not need. We just place you over China in a great job and support you every step of the way. Verbal Education China is located in Beijing,China,run by the National Oral English Teaching Research Bureau and is the Education Institution authorized by the Chinese education system to provide intern jobs working as a foreign English teacher in China. VEC is also cooperating with Beijing Normal University, working together to develop a speaking and listening language course for Chinese children,the only mission of VEC and Beijing Normal University is to advance the English communication skills of middle school students throughout China. If you help us with finding a qualitied teacher successfully, there will be a “REMENDATION AWARD” for you! 5,000-8,000RMB/month + free accommodation + food allowance. reimbursement all included. Students aged 14 and up. Apply online to kick it off! Eligible applicants will receive a response within 24 hours; Then we take you step by step until you are settled in as a teacher in China! We are looking for adventurous individuals with a degree and Native English, preferably aged between 20 and 50! You don’t need to speak any Chinese and we can help you get a TEFL if you need one! 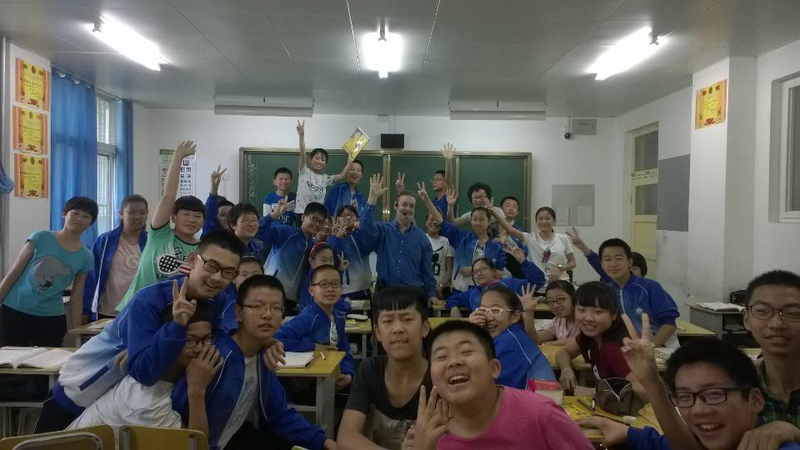 I have taught at middle school in Shandong for more than one year. So I can exercise and enjoy the beautiful sceneries in the school and city . I have spent a lot of time with my lovely students aged about 12 years old. They are so smart! I shared my knowledge of English with them, we learnt and had fun together. Kids paid great attention to my pronunciation when I was correcting theirs, they talked a lot with each other, which made me feel good! When I lived here, Chinese teachers gave me plenty of help. And the company gave me great support. I appreciate them. And I like this city, so I will stay here for another term. We welcome your feedback and questions!